Todd’s emotive lyrics, earthy tones and raw appeal connect to a wide variety of listeners. His songs float from intricate folk fingerpicking styles to driving rhythms that stir the soul. His stories of Australian landscapes and people are accompanied with mesmerising didgeridoo and a depth that always engages and entertains. Todd Cook has three studio releases; ‘So Long’ (2008), ‘Hunting Ground’ (2010) and Brilliant Green (2012). Drawing inspiration from both the lush green fields of Gippsland where he grew up, and the rich, remote areas of the Northern Territory and recently the ancient streets of Edinburgh. 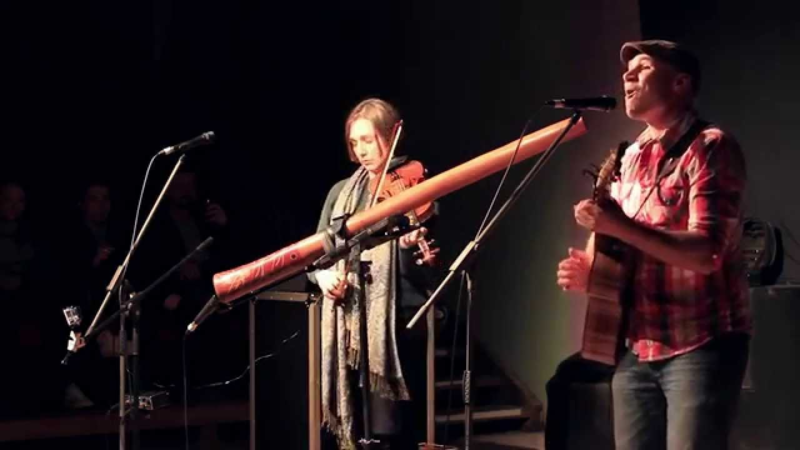 Each song reveals a meeting place for sounds, techniques and lyrics that connect north to south, remote to mainstream, and traditional to contemporary. His music takes the audience on a journey from dark turbulent songs, witnessed firsthand when Todd was living in a remote Northern Territory community, to lively acoustics of joy and celebration. “There are some great songs off this album.” Sarah Howells JJJ Australia. All of Todd’s releases have been well received with wide airplay on national radio Triple J’s- “Roots n All”, Community stations such as; P.B.S Roots of Rhythm, Gippsland FM, and Internationally on ABC (Scotland), Cross Blues (France), and Radio Vilafant- (Spain). Todd has cut his teeth on some of the best live music venues in Melbourne with headline shows at the Evelyn (Brunswick) and The Espy (St. Kilda). 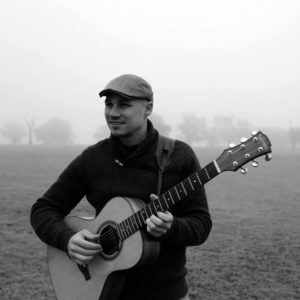 He has also played at long list of festivals around Australia including Yackandandah Folk Festival,(2011) Mt Beauty Music Muster (2014, 2011), Boolarra Folk Festival (2014, 2010), Natimuk Frinj (2013, 2009) and The Mornington RAW Music Festival (2012) that feature some of the best artists in Australia. During 2012/2013 Todd was based in the U.K taking his music to a wider audience. He performed in the 2012 and 2013 Edinburgh Fringe Festival where he received four stars for his solo show. He has also played headline shows at the Crescent Arts Centre (Belfast, Northern Ireland), The Galway Fringe Festival (Galway, Ireland), Ribfest2013 (Madrid, Spain), Flummoxed Music Festival (South East England), Jocktoberfest (Inverness, Scotland) as well as performing at some iconic venues in London, such as the Half Moon Putney and 12 Bar Club Soho. Each venue he has performed in has seen people moved by the depth of his writing and his outstanding instrumentation. “Blew us away.” Peter Garret Flummoxed Music Festival (Eng) management. "Monday’s lunchtime offering is from Melbourne’s singer-songwriter Todd Cook. An acoustic guitar/didgeridoo combo opens the set in style, and Cook soon introduces his vocals into the mix, revealing gorgeous pure tones, finest in the top of his range. His songs are endearingly personal, like journal entries of his homeland experience, including an almost fatal bush fire. Cook’s list of musical accomplishments increases throughout the set, as he adds a mouth organ to give a raw, Springsteen-esque edge to his acoustic melodies. Tip for promoters: give Cook a late performance slot; his talent warrants a packed-out bar of cheering spectators. Three Weeks rating 4/5 , Christy Brown.